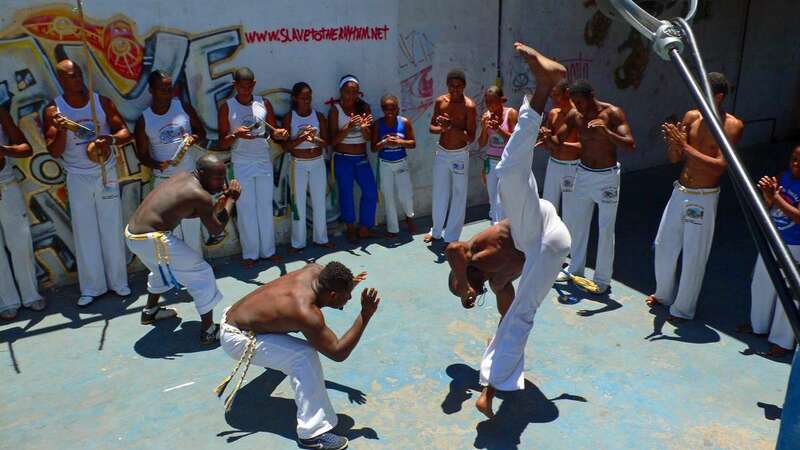 Capoeira is officially considered as an intangible cultural heritage of Brazil, developed by Africans (Angolans) at the beginning of the 16th century.  It is a form of the martial arts that combines the elements of acrobatics, dance, and music. 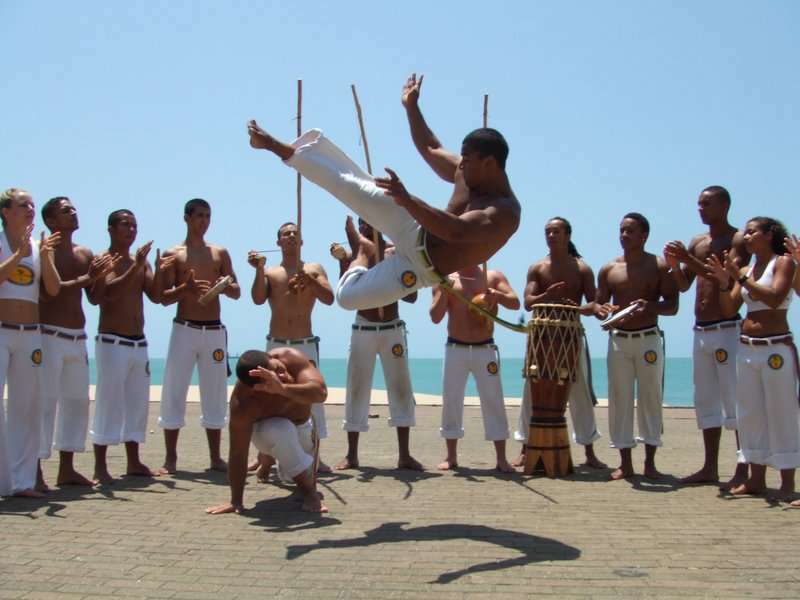 A practitioner of the sport is known as a capoeirista. 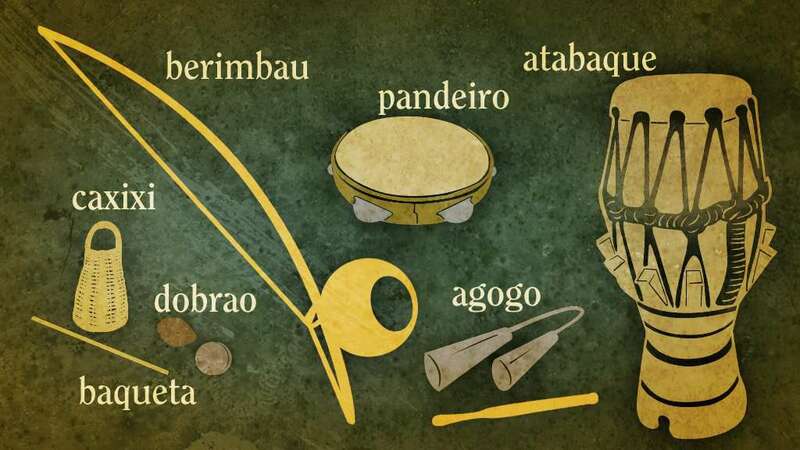 The name of the sport was originated from the Tupi words ka’a meaning “jungle” and e puer meaning “it was” and refers to the areas of low vegetation in the interior of the Brazil where fugitive slaves would hide. The sport can be played anywhere but is mostly played in a roda. 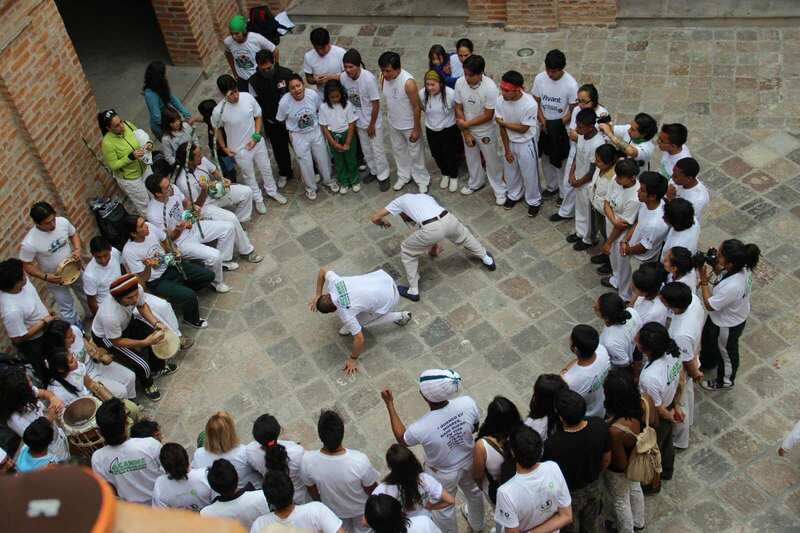 It is a circle formed by capoeira musical instruments and capoeiristas and each of the participants sings some typical songs and claps their hands following the music. 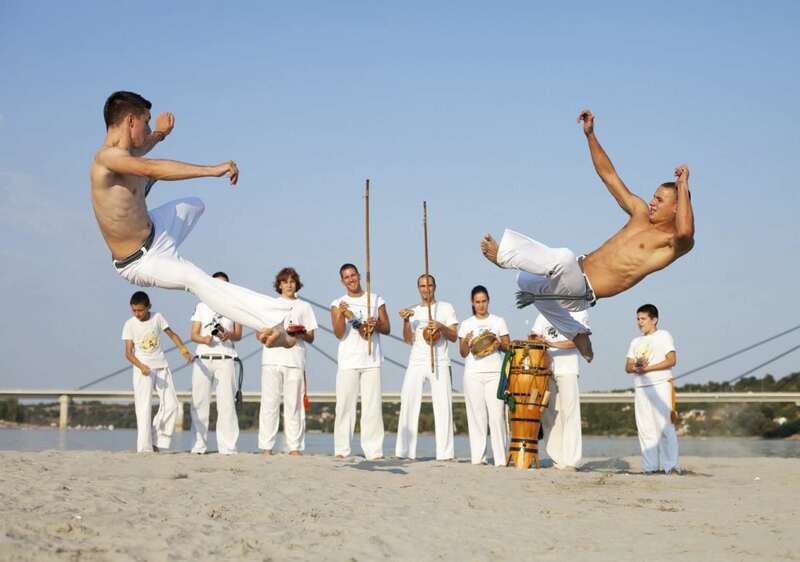 The game is competed between two athletes playing according to the style required by the rhythm of the musical instruments. The sport doesn’t focus on knocking down the opponent rather it emphasizes skill. 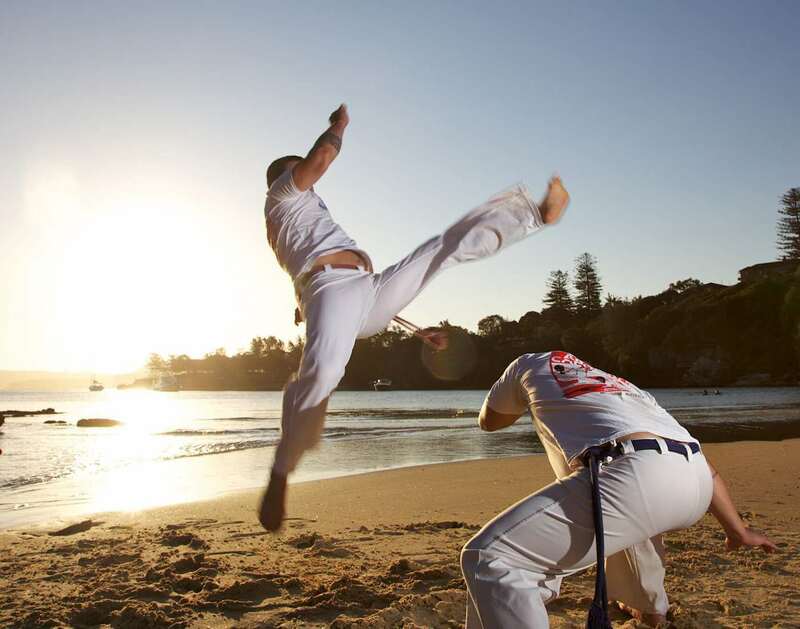 Capoeiristas often prefer to allow the opponent to recover and get back into the game. 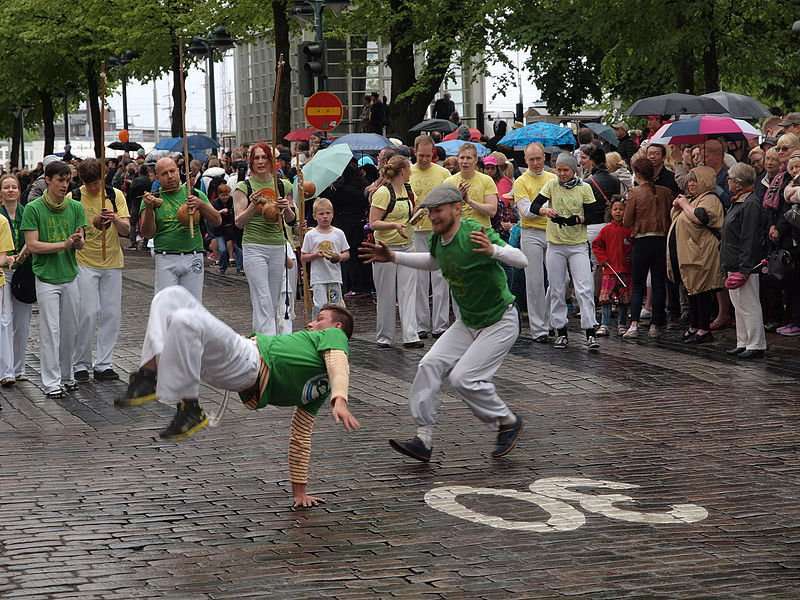 The game of Capoeira finishes when one of the athletes decide to leave or call the end of the game or when any other capoeirista interrupts the match to start playing either with one of the current athletes or with any other capoeirista. 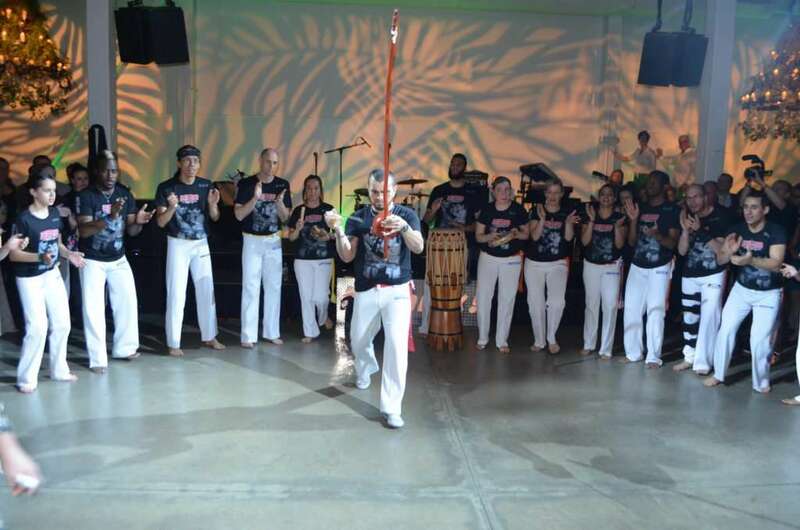 Music is an integral part of the sport which sets the style and tempo that is to be played within the roda. 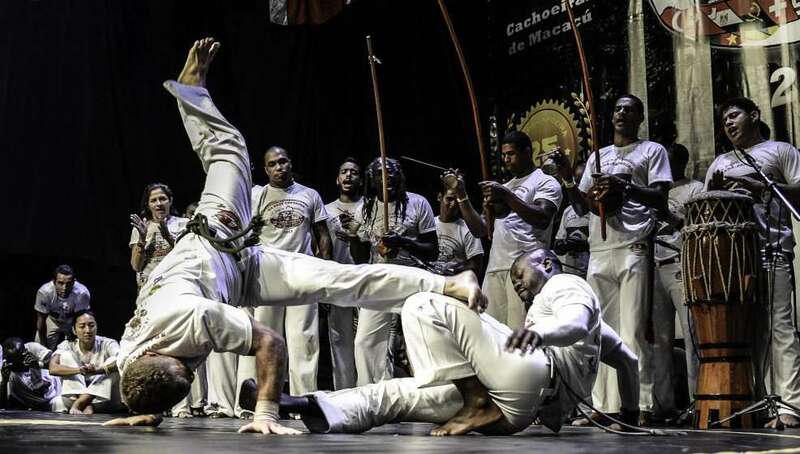 The Capoeira music is formed by singing and instruments which are arranged in a row formed by three berimbaus, two pandeiros, three atabaques, one agogo and one ganza. 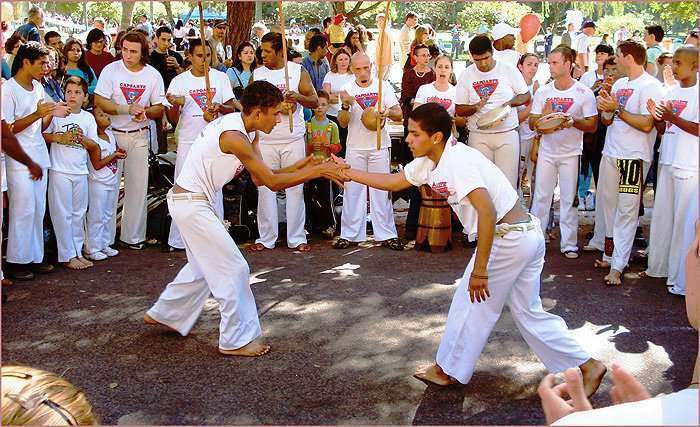 This format of the instruments may vary based on the capoeira group’s traditions and the style of roda.